Valentino BAIELLI Baldieri Watches USA | Bannor & Bannor Inc. Valentino BAIELLI Baldieri Watches USA | Bannor & Bannor Inc. 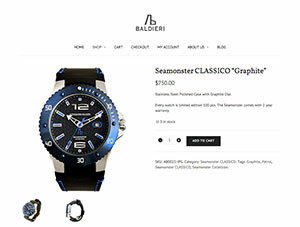 Announcing Bannor & Bannor’s newest website – Valentino BAIELLI Baldieri Watches USA. Valentino Baielli is a Florence, Italy native and the lead designer of the Alessandro Baldieri team. 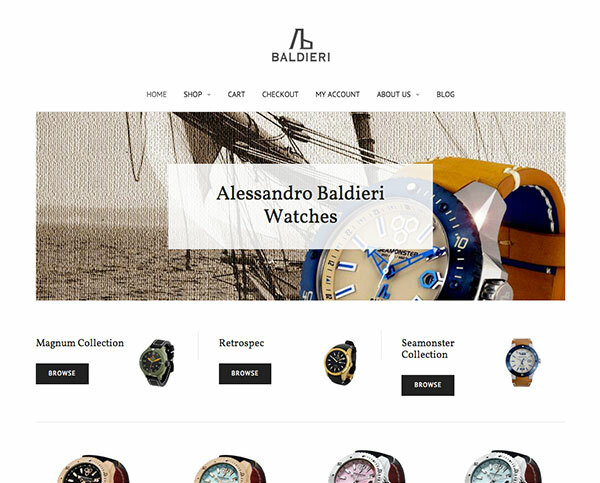 His new website features Alessandro Baldieri watches. You can read more about Valentino here: http://baldieriwatchesusa.com/about/. This new website not only shows off the beauty of these watches, but makes it possible to purchase them online through the website. Valentino is be selling these watches world wide. The website is built on the WordPress platform for its flexible ecommerce solution. You can see the website and all of the beautiful watches here: http://baldieriwatchesusa.com.